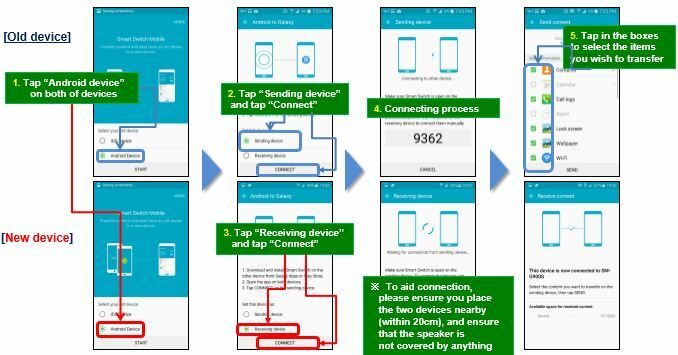 How can I transfer my data from old device to new device from Android device to Samsung device with Smart Switch mobile app? To transfer the data from old device, please install the Smart Switch mobile application on both devices. After that, run the Smart Switch application on both devices and place them close together (i.e. within 20cm). When should I use the Mobile version of Smart Switch? How to restore contact from PC to new device?